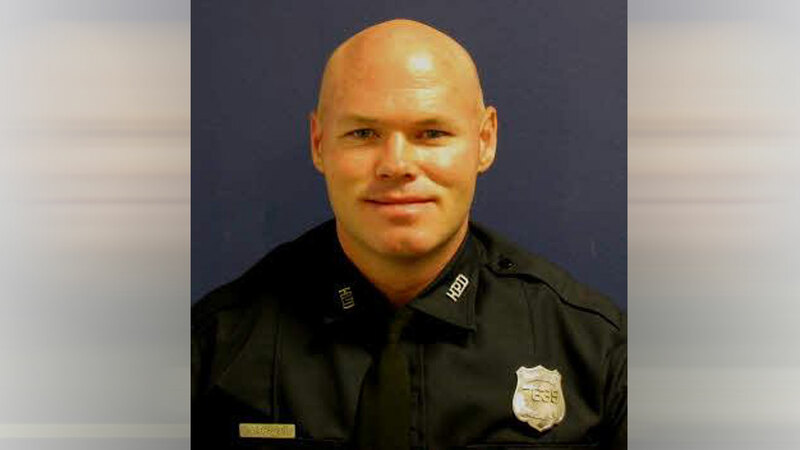 HOUSTON -- A 40-year-old Houston police officer who collapsed at a substation in west Houston has died. According to the Houston Police Department, another officer found Officer Seldon O'Brien unresponsive in a second-story bathroom at the Midwest Station around 1:45pm Wednesday. The officer immediately began CPR on O'Brien until paramedics arrived and took him Memorial Hermann Southwest Hospital. O'Briend was pronounced dead there. O'Brien was a 10-year veteran officer and was assigned to the Investigative First Responder Division at the Midwest Patrol Station. "Officer O'Brien is survived by his parents, who live in the Houston area, and his sister who lives in Dallas. Please keep them, and the men and women of HPD, in your thoughts and prayers," HPD wrote in a Facebook post Wednesday.